We take pride in ensuring we list some of the very best in Accommodation, Hotels, Self Service Apartments, Guest Houses, Budget Hotels or Resorts to stay in, while in Lagos, or Abuja, Port Harcourt, Calabar, Benin, and many other cities in Nigeria. The sunny hospitality of the Nigerian people is truly reflected in the huge variety of accommodation options available in every region of the country. Wherever you find yourself, there is sure to be a bed nearby in which to rest your head. 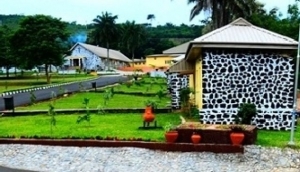 Whether you wish to indulge with a luxurious break by the sea, relax in a five star hotel in the city, or soak up the culture in a family-run guesthouse, there is sure to be something on our list of Nigerian accommodation to suit your needs. Our comprehensive guide covers accommodation in all regions and for all budgets.